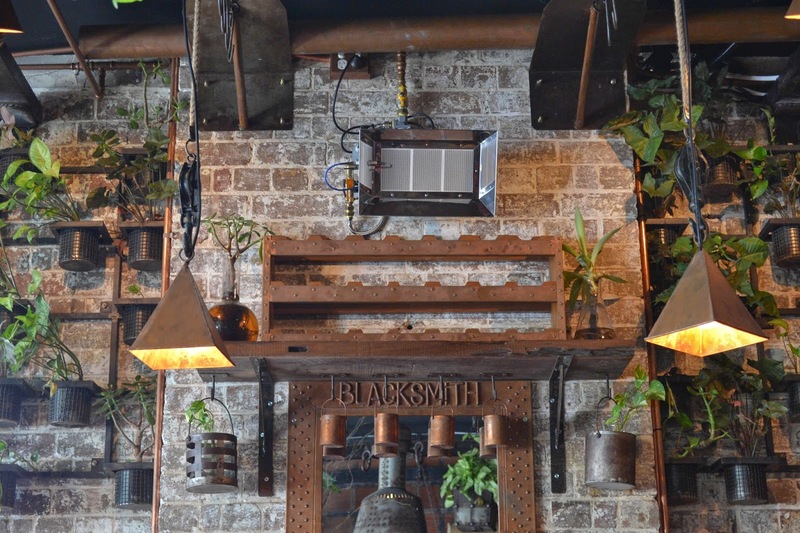 Both the food and decor of Blacksmith can be summed up as rustic. 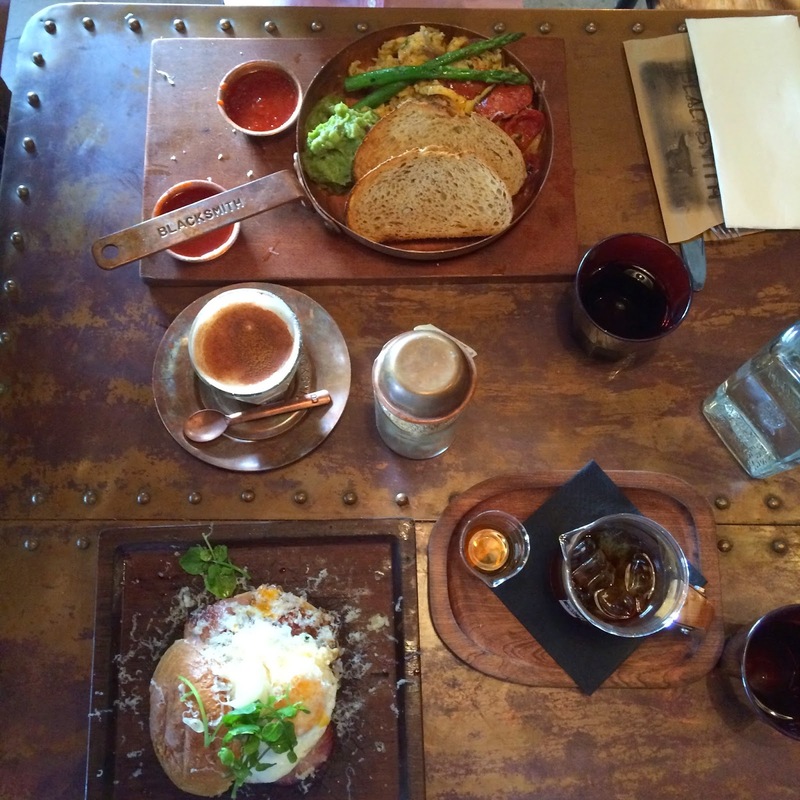 All throughout the cafe you will find a pastiche of metal, wooden and industrial materials. Even the menus look as if they were crafted by a blacksmith. 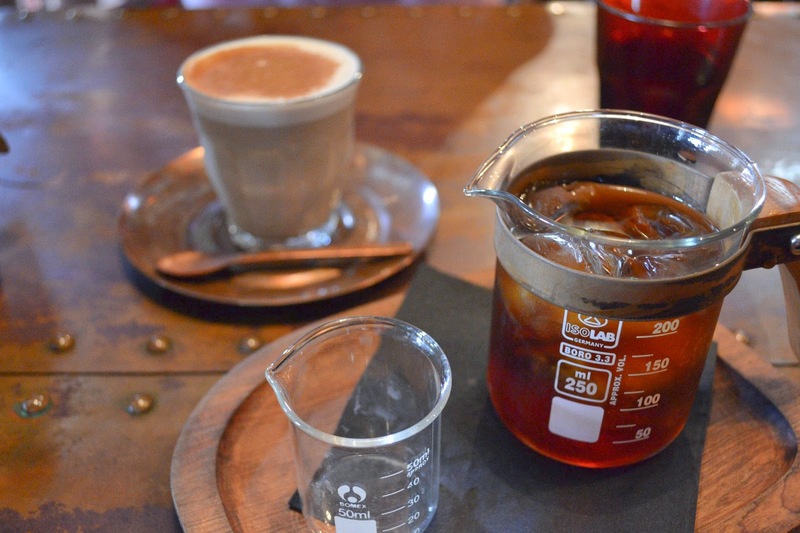 Being a cold drip lover, I thought I’ve seen all the quirky ways the beverage can be served but Blacksmith certainly surprised me with the double beaker arrangement. Yes, you sip your cold drip ($5.50) from the little teeny weeny beaker! 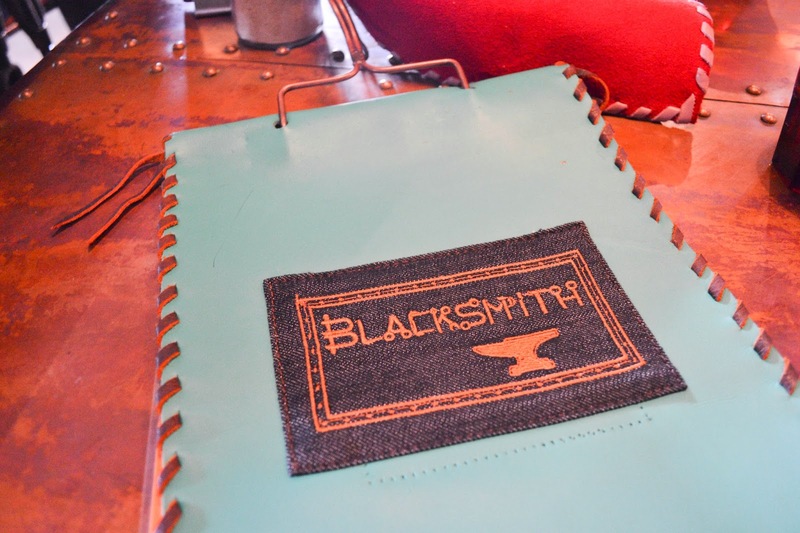 If you prefer your coffee hot, Blacksmith has your standard drinks. L gave the chai latte a thumbs up. 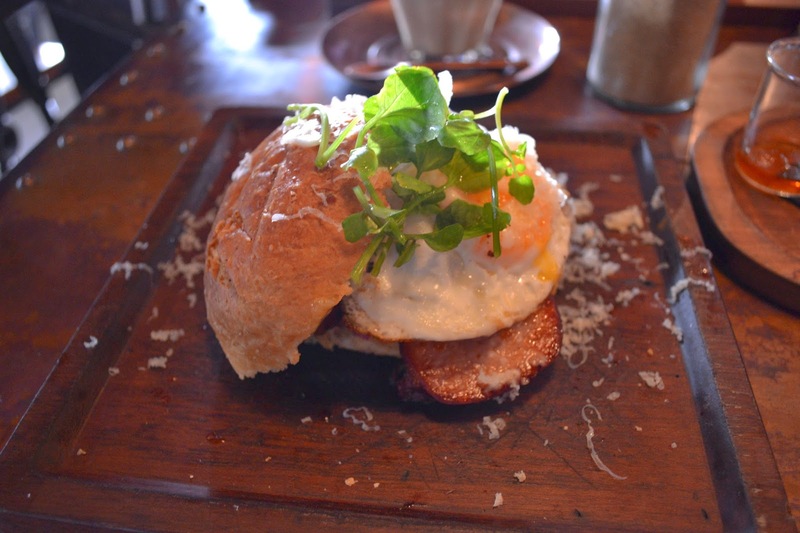 The menu has all the typical brunch items but with a slight twist. My Smithy Breakfast Burger ($15.50) is a delicious mess of bacon, a fried egg, a heap of pickled slaw and beetroot relish. L’s chorizo eggs is lot less messier to eat as it comes in a Blacksmith branded copper saucepan. The generous servings of chorizo, scrambled eggs, avocado and asparagus comes with two slices of sour dough. Blacksmith will certainly become the next brunch hotspot, so get in quick before lines start forming. Yes! Blacksmith is one cool cafe that’s convenient and not crowded (yet). Are you a fan of rustic decor? Let me know in the comments below! They're so cute! I loved how the menus had hooks in them haha. The beaker is so cute and that burger looks delicious!